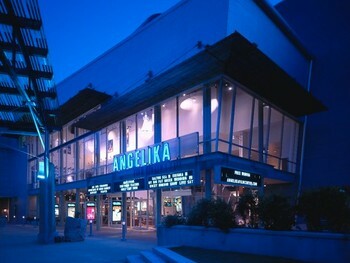 The Angelika Film Center in Dallas is one of two main theaters which will be showcasing our selections for this year. Located on 75 and Mockingbird in Dallas, it has long had a wonderful reputation as one of Dallas’ premiere art house cinemas. With a great atmosphere, excellent staff, and splendid cafe which serves various food and beverage including popcorn, candy, organic snacks, coffee, baked goods, domestic and imported beer as well as wine, the Angelika is a fine place for film and entertainment in the Metroplex.